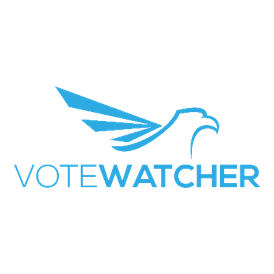 Business Intelligence Analyst for VoteWatcher – Blockchain Technologies Corp.
We are searching for talented Business Intelligence analysts for our Manhattan office. Are you skilled and passionate about research, entrepreneurship and personal development? Do you want to position yourself in the forefront of the new wave of companies leveraging the Blockchain in every industry? Are you a strong candidate who can find the data when everyone has given up, and work together with a team of likeminded and equally skilled peers close to our team of managing partners? Our analysts are in charge of developing our business insights and while simultaneously innovating our business processes. Our data collection is done through various channels, primarily online. You will receive thorough training from our experienced team of managers, and become included in the everyday strategic decision making of that department. You thrive on responsibility and are able to excel both in a team and individual setting. In essence, you are able to think structurally as well as creatively. Research and development of business insights in target regions. Lead generation for our sales department. experience with business research is not a necessity, yet it is an advantage. Thinking outside the box is a natural part of this job as you must be flexible in your search tools to adapt to the challenge and solve the problem at hand efficiently. A unique and challenging opportunity to join a fast-growing company where you have every opportunity to develop your competence within business research, management and entrepreneurship. Furthermore, you will receive a mentor who will help you grow and succeed in the company as well as developing the core skills needed to accelerate your career. You will receive a competitive commission compensation for the leads you generate to our sales department and join a dynamic team of like-minded peers who will cheer you on and welcome you onboard. We have fun doing our work, so we offer an informal working environment with plenty of space for your unique personality to flourish amidst a strong team spirit. Please do not hesitate to contact Peter G. Mikkelsen, head of recruitment at +1-508-242-7040 if you wish to learn more about the position. We are looking forward to receiving your application and CV as soon as possible, no later than August 1st 2016.